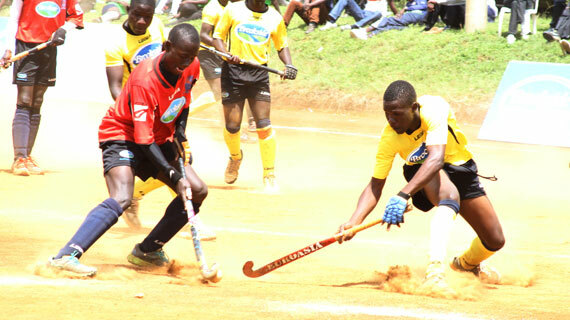 Twelve times national schools hockey champions Friends school Kamusinga on Friday secured their fifth Regional title after winning the 2016 edition of the East Africa School Games held in Eldoret. The national champions Kamusinga reclaimed the title they last won in 2014 by finishing at the summit of the regional league table with 11 points, just one ahead of close rivals St. Anthony’s from Kitale who finished in second spot with 10 points.The defending champions St. Anthony had earlier whipped Ntare from Uganda 6-0 to ascend to Silver position. Kenya scooped most of the awards during the regional tournament with both men and women handball titles going to Kamusinga’s neighbours Kimilili Boys and Moi High School Kamusinga. Lugulu Girls also from Bungoma County finished in third spot in the women volleyball having been eliminated by Soweto in the semis on Thursday. Kosirai were eventual women volleyball champions having defeated Soweto 3-1 in the finals. Kakamega High School and St.Peters High School Mumias won the 15’s and 7’s titles. Speaking after watching the final hockey match, Bungoma Governor Kenneth Lusaka praised the performance of teams from Bungoma while noting that the region has for many years been known to be a sports powerhouse. He reiterated his county’s commitment to continue supporting sports adding that the High Altitude training camp in Mount Elgon is targeted towards producing more world class talents in the future.